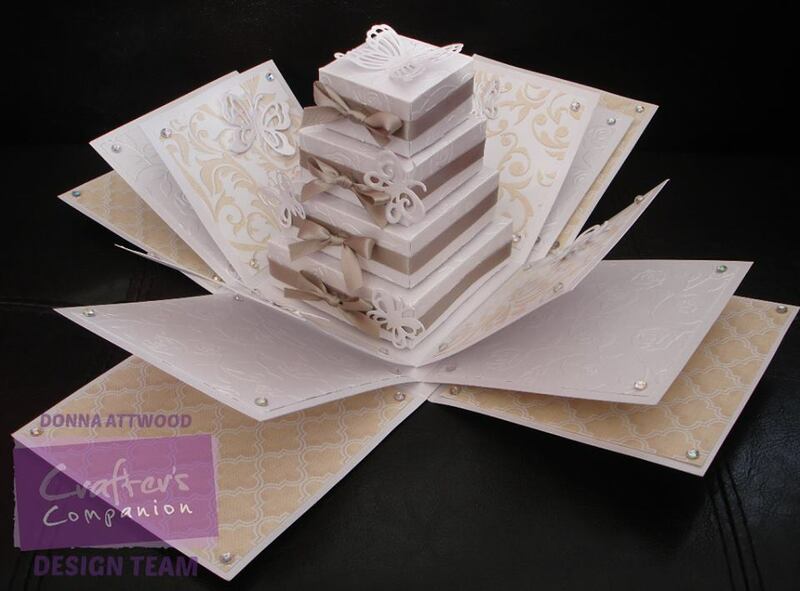 During our Birthday Week we shared this amazing project from Donna Attwood. She was kind enough to write up some instructions so you can make one too! Step 1: From an A3 piece of card cut 2 strips of card measuring 15” x 5” and score both at 5” intervals along the length using the box lid side of the board. Glue the pieces together in the middle to form a cross shape. 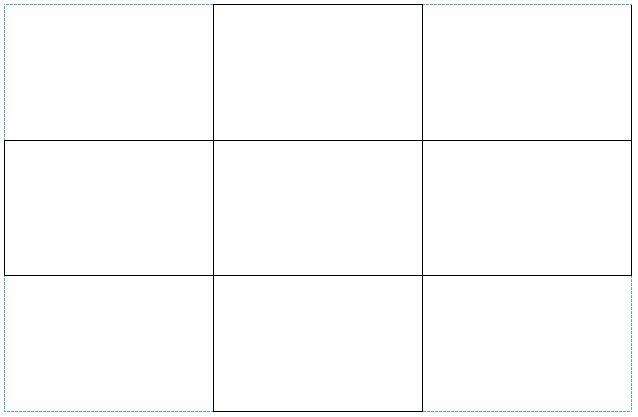 Step 2: From an A3 piece of card cut 2 strips of card measuring 13 ½” x 4 ½” and score both at 4 ½” intervals along the length using the box lid side of the board. Glue together as above. Step 3: From an A3 piece of card cut 2 strips of card measuring 12” x 4” and score both at 4” intervals along the length using the box lid side of the board. Glue together as above. Step 5: To make the box lid cut a piece of card 8 1/8” x 8 1/8” and score around each edge at 1 ½” using the box lid side to make the box lid. Fold and glue as necessary. 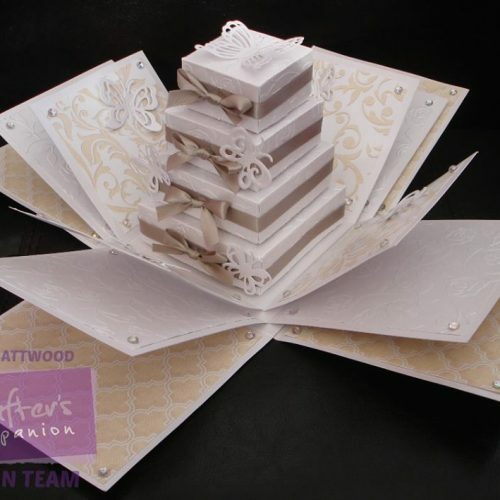 Step 6: The inside tiered boxes are made using the following sizes of card. NB remember to score one piece using box base and one piece using box lid. 1st layer – 5 ½” x 5 ½” (x2 one for the lid and one for the base). Score at 1” intervals on each piece. 2nd layer – 5” x 5” (x2 one for the lid and one for the base). Score at 1” intervals on each piece. 3rd layer – 4 ½” x 4 ½” (x2 one for the lid and one for the base). Score at 1” intervals on each piece. 4th layer – 4” x 4” (x2 one for the lid and one for the base). Score at 1” intervals on each piece. Step 7: Once all the layers are cut and scored run them through your chosen embossing folder to create the pattern. I used the Die’sire Embossalicious Rose Vine folder. Step 8: Glue each box together to form tier.